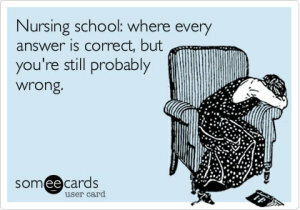 Nursing school is no joke. The hours are long, the studying never ends, and the content is foreign. Here are a few ways to help get you through your first year as a nursing student. Your academic advisor can help give you tips and map out activities that will benefit you as a nursing student, and can help you succeed once you graduate and are thrown into the nursing workforce. Establishing a relationship with your academic advisor early on in your career as a student can only be beneficial. It’s always nice to have a little guidance along the way! For a list of advisors in the Office of Enrollment and Student Affairs, click here. It’s awesome to go to to a university located in such great city, right? While taking advantage of all Atlanta has to offer, don’t forget to take a break to simply sit back and take in how pretty the city really is. It’s simple. 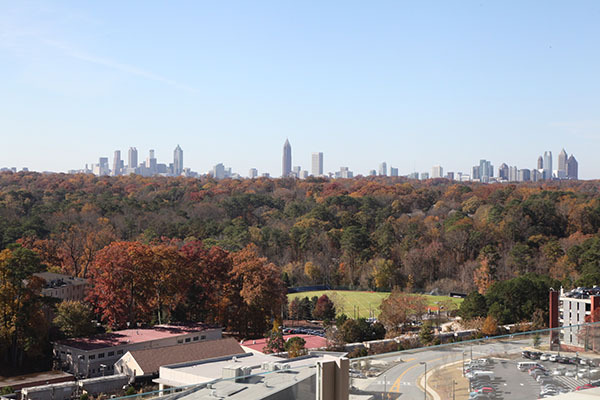 Take the elevator in the Claudia Nance Rollins School of Public Health building to the 8th floor to see a gorgeous view of the Atlanta skyline. What’s even better? It’s free! Set your pride aside. Nursing school is like no other. Every answer is correct, but you have to pick the answer which is most correct. You will need to use the material long after the test, so it’s important to make sure you understand the test questions and answers you missed. Remember your high school resume? Or, for second degree students, the resume you created for your previous jobs? Yeah, nursing resumes are way different in terms of content and format. Arnita Howard, Director of Admission, Career Services, and Student Affairs, is a great resource for resume help. Make an appointment to see her after the first 6-8 weeks of the semester are over. A resume is an important document for the professional portfolio that’s required as an Emory student, so why not get it done early and with a little bit of help? Lullwater Preserve is a beautiful area on Emory’s campus where the President of the university and his family reside. The preserve serves as a recreational area for Emory students, faculty, and staff. Lullwater’s wooded trails and scenic pond make it a favorite place for members of the Emory community. The park is open during daylight hours and has a main entrance off of Clifton Road. Learn more about Lullwater Preserve here. 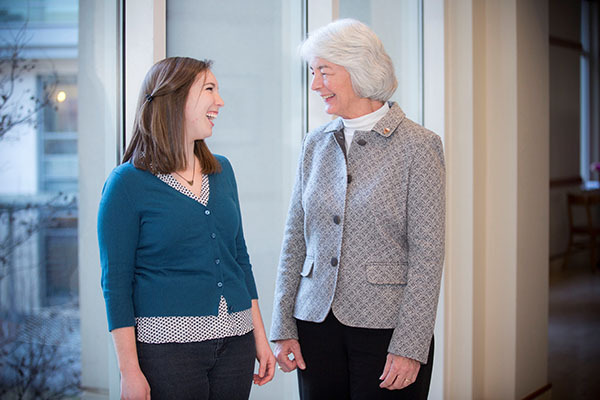 The Lillian Carter Center for Global Health & Social Responsibility (LCC) ensures that service learning and social responsibility are infused throughout the curriculum and educational experiences of our students. The LCC offers Alternative Winter and Spring Break trips to the Dominican Republic, Jamaica, Haiti, Bahamas, and West Virginia, to name a few. You don’t want to miss out on the opportunity to take a trip of a lifetime using the skills you learned in school to care for others who don’t have the same resources we do. 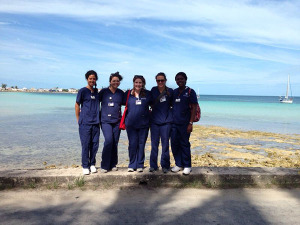 Learn about all of the LCC’s service learning and global health trips here. 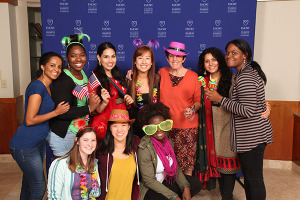 Click here to learn more about Emory’s Wonderful Wednesdays. Click here to view photos from Homecoming 2014. 10. Imagine yourself as a sponge, soak it all in, but don’t become overwhelmed. You’ve already learned more than you realize! Take study breaks often to absorb the material. 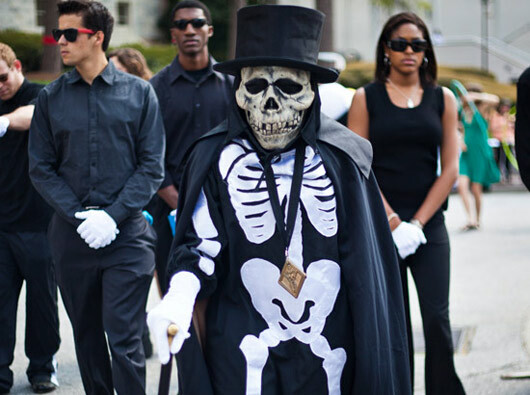 Dooley represents a quirky tradition on campus.The biology lab skeleton safeguards the official Spirit of Emory. Acting through students selected to don the Dooley mantle, he maintains a vigorous and unpredictable presence during a week in his honor in the spring. The identity of these students is one of the best-kept secrets on campus. 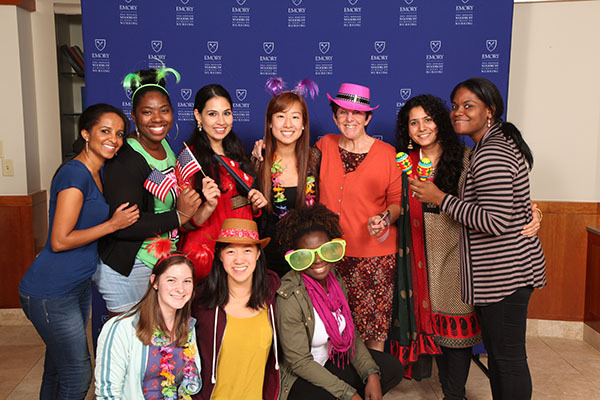 Visit our alumni website to learn more and explore opportunities with the School of Nursing alumni association.